The second week of the Mac 2up took place this evening. Another great event and nice to see visitors from neighbouring clubs. A big thank you to all our marshall's, timekeepers and volunteers. Images from tonight’s event can be seen in our gallery here. Everyone with a HC ranking (see below) is eligible for the Mac 2-up competition (they've competed over both week 1 & 2). Last round of the competition is on 22nd May at the interclub league event. 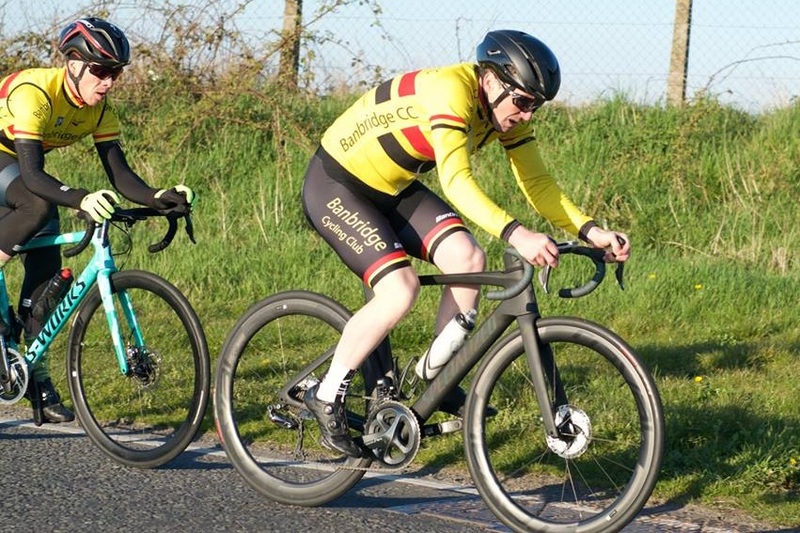 With the first round of the Banbridge Inter Club Race League just around the corner, many have been asking about frame number holders and mounting options for the new league specific race numbers. There are various options for mounting the numbers, but why not support a local company who has and continues to support our club, riders and events; Galibier offer very cost effective options, starting from under a fiver each (link below). Numbers will be distributed to Banbridge CC riders at the club TT tonight.